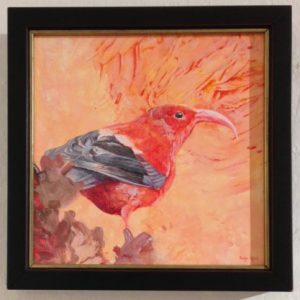 ‘I’iwi in Waiting, original acrylic painting by Jacob Medina. 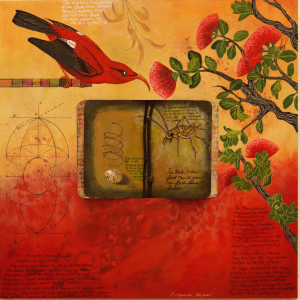 This painting features the native Hawaiian ‘i’iwi bird that can be found within Hawai’i Volcanoes National Park. Created with acrylic and enamel paints. 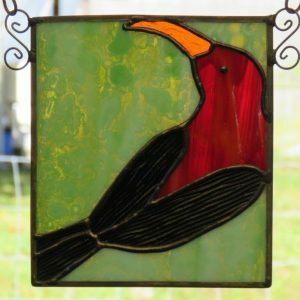 You can learn more about Jacob Medina and his artistic process by visiting his bio page here.